This is a great travel trailer for your whole family to enjoy! 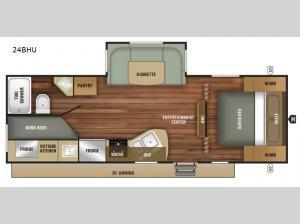 You will love all of the features throughout this Autumn Ridge Outfitter 24BHU travel trailer. 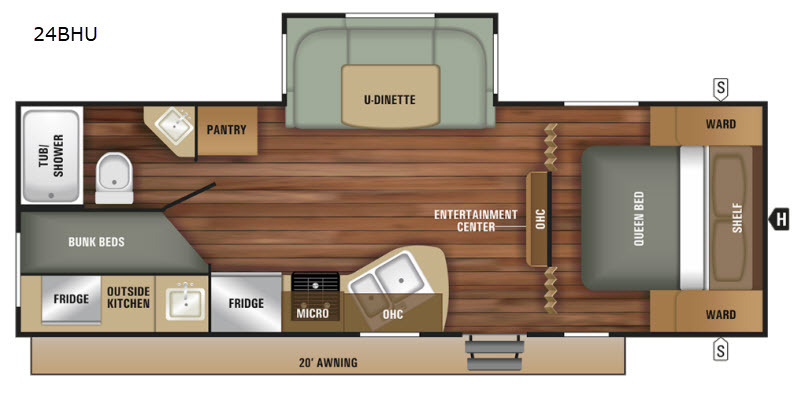 With the u-dinette slide out there is added floor space and enough room around the dinette for your whole family to enjoy meals. Speaking of meals with the convenience of an outside kitchen you now have the choice as to where you are going to prepare your food - inside or outside! Your kids can bring along a friend since there are double bunk beds in the rear, and in the front you will find a bedroom with a queen bed for mom and dad!